Street food has become very popular these days in Athens. There were always the traditional street food choices like the Greek souvlaki, cheese pies or koulouri. Recently new shops have opened offering a wide range of food from all over the world. 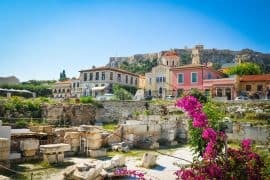 If you are planning to visit Athens and you want to know where to eat like a local, here you will find a list of my favourite places to eat on the road. You are in Greece so tasting Greek souvlaki is a must. 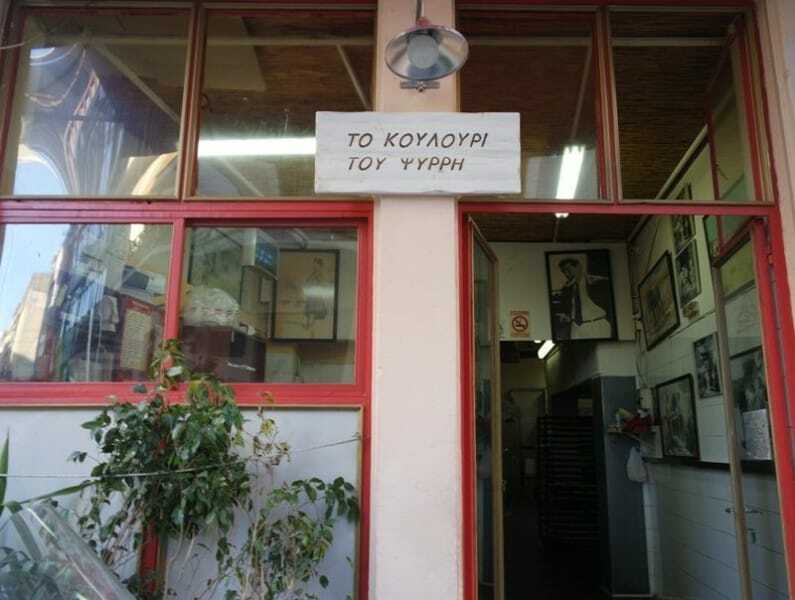 One of my favourites is Kostas just off Mitropoleos street near Syntagma. 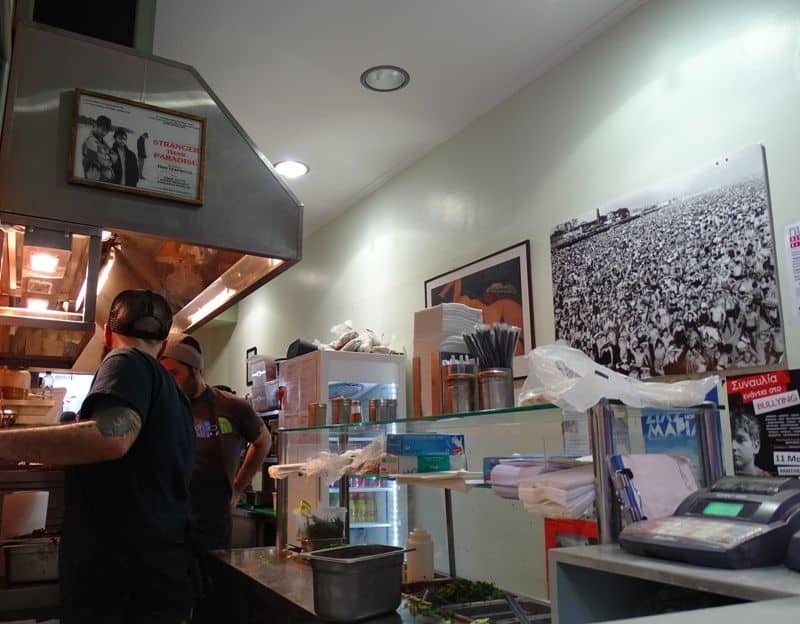 Kosta’s grandfather opened the shop in 1950 and it has been serving souvlaki ever since. How he makes the souvlaki? With small pieces of pork, tomato, parsley, yoghurt and onion into a pita bread. The shop operates Monday to Saturday from 9 am until 14.00 pm. There are many places serving souvlaki in Athens but this is my favourite. Try to avoid the popular places in Monastiraki square that are very touristy. 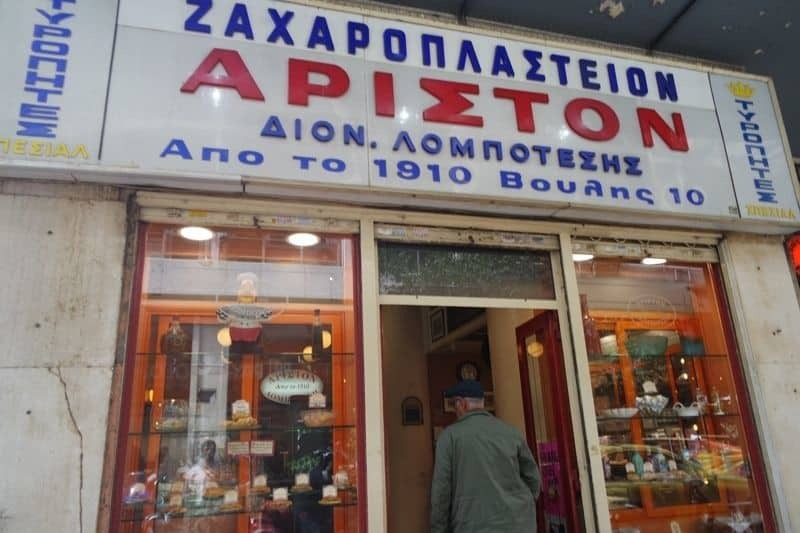 This traditional bakery serving mostly Greek pies operates since 1906 at the same place near Syntagma Square. It sells a variety of Greek pies, 120 different ones, from regions around Greece. It is famous for the cheese pie called Kourou. Make sure to try one, they make a perfect snack. 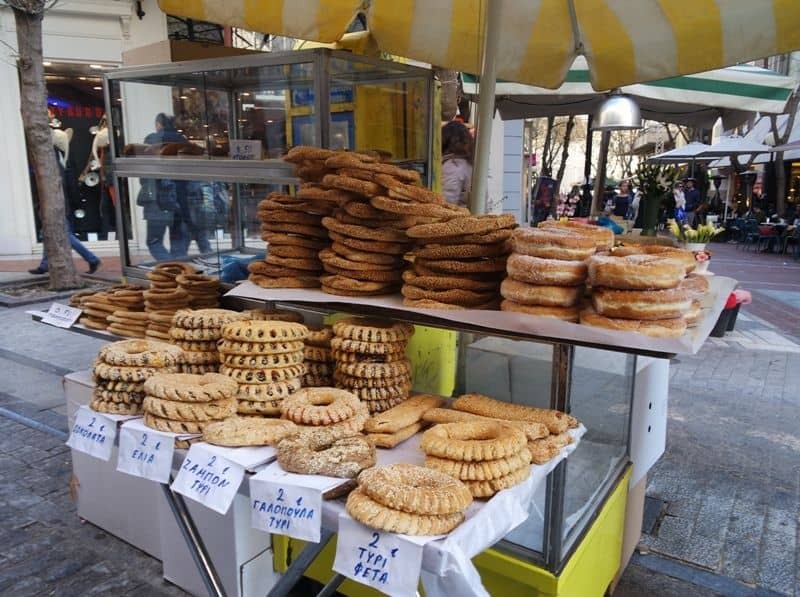 You can find stands selling koulouri (rings of bread sprinkled with sesame seeds) all over Athens. Apart from the plain one you can taste a variety of flavours like cheese and olives. 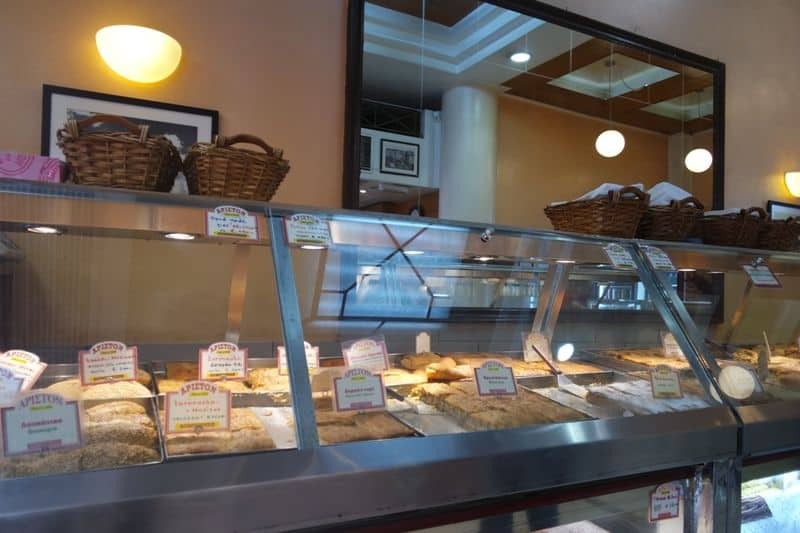 If you want to taste the best koulouri you can head to Psyri neighbourhood at the traditional bakery called “To koulouri tou Psyri” that operates in the area since 1960. 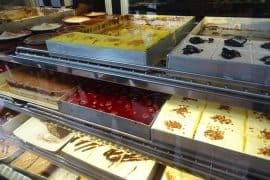 This bakery supplies most of the stands in Athens area. You should give it a try since it’s a very healthy and tasty snack. Falafellas is a shop selling Falafel near Monastiraki square. 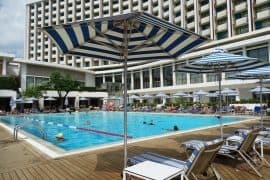 It is very popular and very crowded, especially on Saturdays. 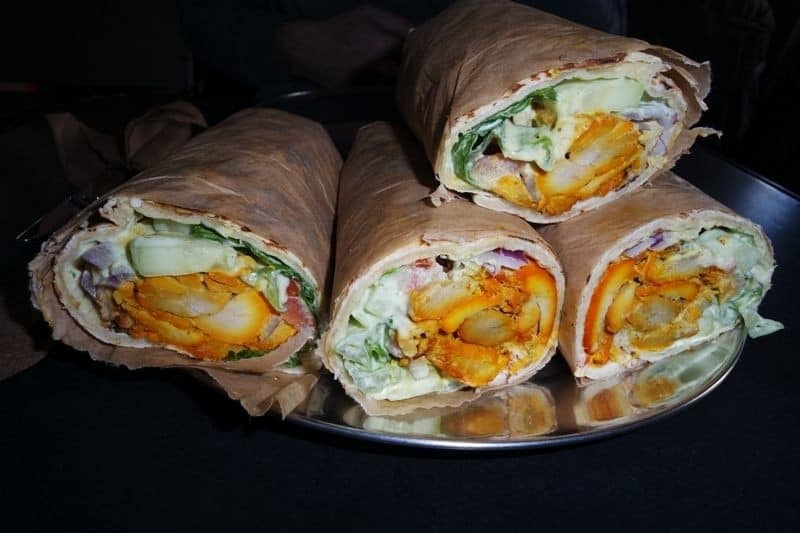 At Falafellas they serve their falafels (made from chick peas) in 2 sizes, pocket and giant. They come with tomato, lettuce, cucumber, aubergine, tomato sauce and yoghurt sauce. The menu also includes some salads. It is worth standing in line the food is very tasty! 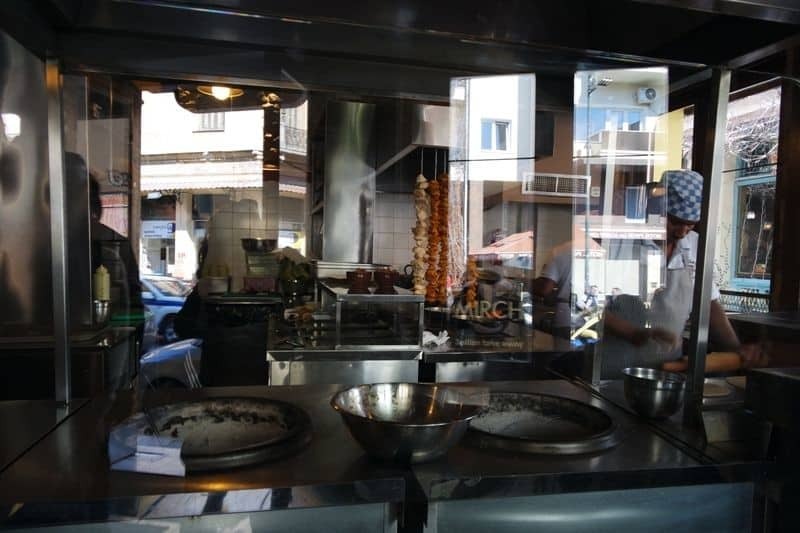 Near Monastiraki square, this cosy Indian restaurant serves Indian souvlaki. Chicken tikka with mixed vegetables and special sauce all wrapped in a naan bread. It is mostly for takeaway but there are some seats available on the top floor. In Mirch, you will also find a big variety of beers from all over the world. 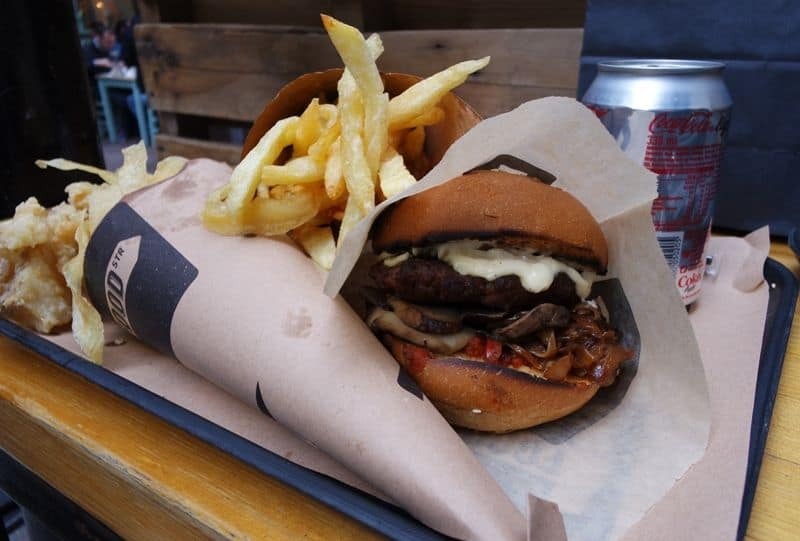 A small shop centrally located near Monastiraki square serving burgers with homemade ingredients. They also serve fantastic fried potatoes accompanied with a variety of sauces, fish and chips and hot dogs. There are some seats available upstairs but it is mostly a takeaway. Whether you are on a budget or you simply want to grab something for the road you should consider trying all the above they are all tried by me and my friends and are all delicious. 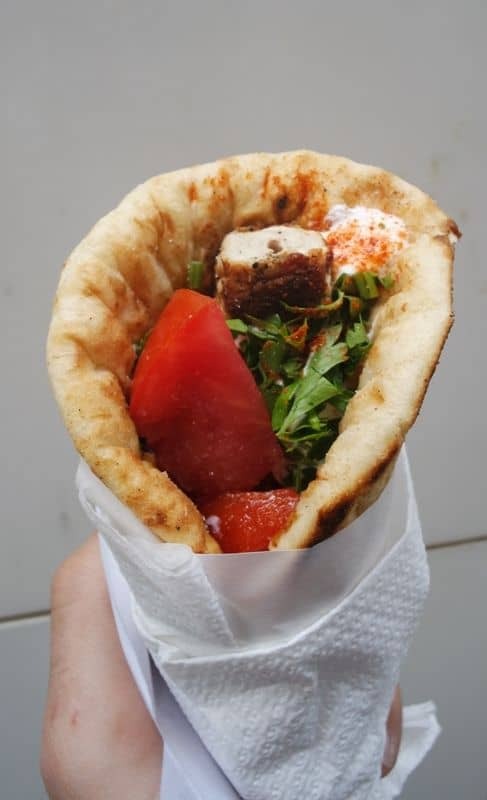 Have you ever tried street food in Athens? What is your best street food you have tasted and where was it? 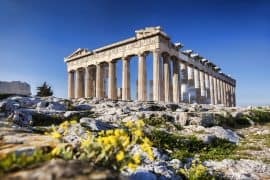 I love Greece food and will have this post in mind when going to Athens. Thansk for all the useful tips. You are welcome. I love Greek food also! 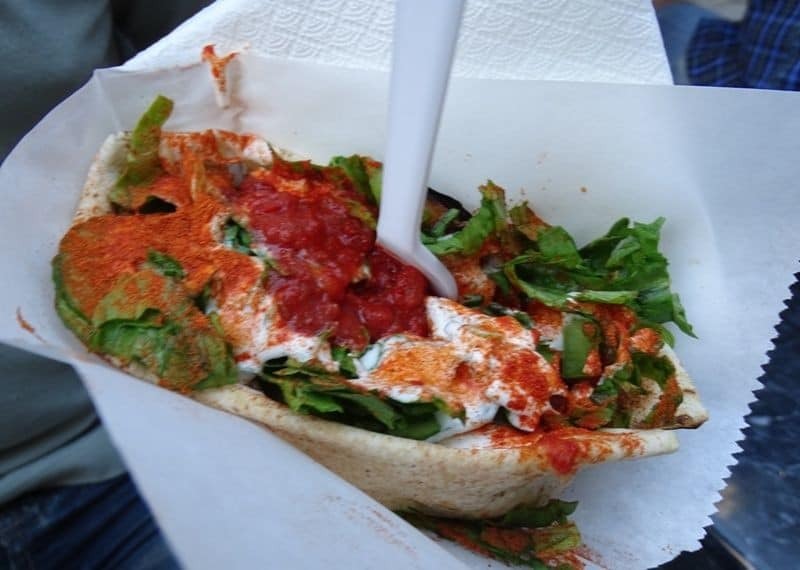 I love street food…the falafels look amazing. 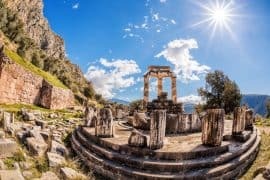 I’ll keep this post in mind if I ever make it to Athens. Cheers! They are amazing! You should try them ! Street food in general is something we love as it brings you closer to the culture and is also cheap, but street food in Greece in on another level! The best kebabs any where! That is true.I love them also! Last I tried Souvlaki (lamb), It was a first time I ate a lamb and I can say It was very crispy and in some sort soft inside. Enjoyed very much. This is super helpful! I am headed to Athens on Tuesday and will be checking a few of these off for sure! Thanks!